Our mission is to bring The ReRUN Shoe Project to Kingston, and to get shoes in the hands (or on the feet) of locals in need who might not otherwise have a quality pair of shoes to participate in an active lifestyle. 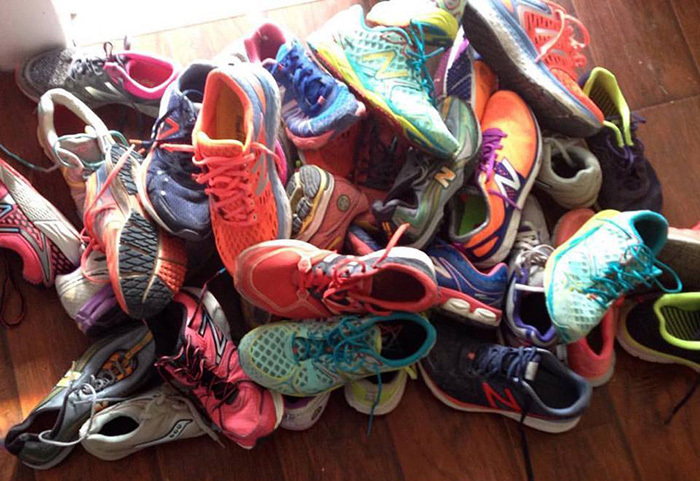 By establishing ongoing drop-off locations where runners can bring their lightly used shoes, we hope to connect runners and give back to the local community. In doing so, together we can reduce, reuse, and pass on the gift of running. Thanks to all of the runners who have donated and will continue to donate to The ReRUN Shoe Project. By giving your shoes another life, you are improving the lives of others. We are forever grateful for your support, and look forward to seeing you at future races. We would love to hear from you! Send us an email and we will get back to you at our earliest convenience.